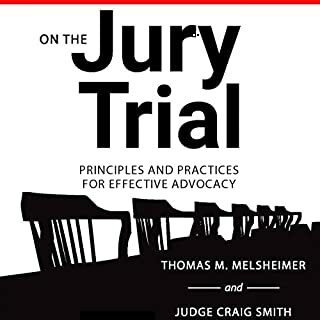 Topics include voir dire, opening statement, preparing witnesses, cross examination, using exhibits, closing argument, jury research, and more, with excellent examples and “do’s and don’ts” provided throughout. 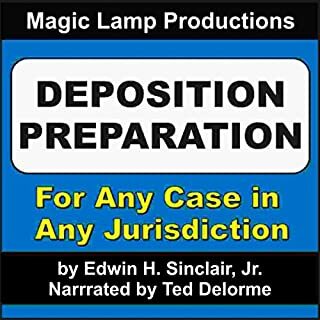 Think of this audiobook as the senior law partner’s memo to associates on how to really try a case. 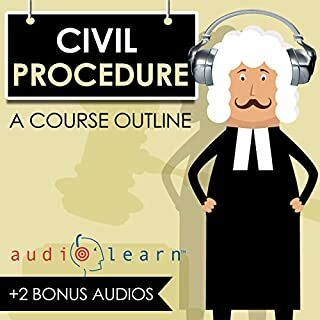 Written by distinguished law professors and professionally narrated for easy listening, this outline covers what is typically taught in a law school Civil Procedure law course. Included are detailed explanations of critical issues and topics you must know to master the course. The law of attraction is based on the idea that everything in the universe has a polarity, meaning that everything - from the food you eat to the people you talk to, to the things you say to the things you think - contains either a positive or a negative kind of energy. Notice that being with people who complain or rant a lot tends to make you feel bad, even though you're not exactly experiencing what they're going through - that's the law of attraction working its magic. When you focus on negative stuff, then more negative stuff will happen to you. By: Edwin H. Sinclair Jr. 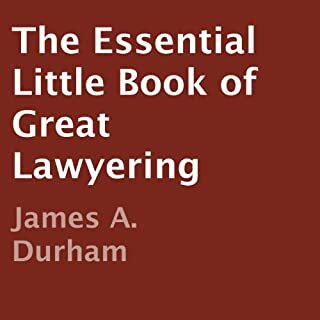 The Essential Little Book of Great Lawyering teaches lawyers everything they need to know - and do - to impress clients. If your clients think you are a great lawyer, they give you more work and referrals. 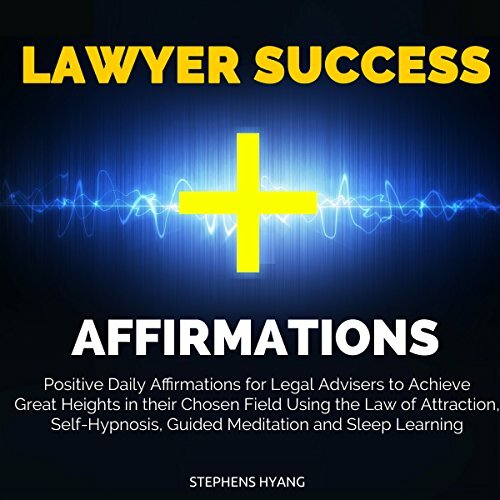 If your clients would not describe you as "the best lawyer with whom they have ever worked" then you must listen to this audiobook. Jim's core thesis is simple: Being a great lawyer IS the best way to grow a practice. Everyone wants to live a life full of meaning, purpose, and success. Yet you clutter your mind with limiting thoughts of can't do this, can't do that, it's too high, too far, too greater to achieve. Divided into two sections - Subliminal Affirmations and Laws of Attraction guide - this audiobook will show that your subconscious is the most powerful tool to help alter your life in a positive manner. Negative thoughts are like weeds that grow all the time without any nurturing, since it's in the human nature to think of negative consequences. On the other hand, positive thinking about health, love, wealth, and success are hard to come by, and like everything worth fighting in this life, they require a lot of nurture and care. 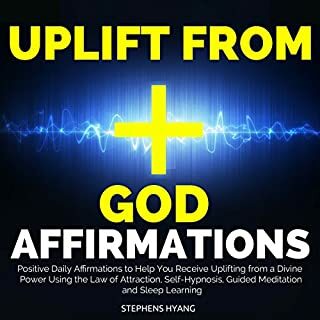 This audiobook plans to give you exactly what you need: the means to stay positive through constant affirmations designed to help improve oneself, change a bad behavior, or channel the universe to attract good things in your life. Call it meditation or even self-hypnosis, but the principles stated in the audiobook actually work. It is proven that repetitive constructive affirmations attract positive energies in your life, and that desire is the first step towards achievements. Packed with subliminal affirmations, the audiobook shows that in order to attract opportunities that will improve your health, love life, or even wealth, all you need are few minutes a day to shift your mind through positive affirmations. You can choose to repeat them loud and proud, or they can be repeated in your mind during idle times such as commuting or even taking a shower. Think positive, be confident, and change your life now by taking action and downloading this audiobook. Don't be a pessimist and navigate away. You can't achieve any success if your mindset is constantly plagued by negativity. 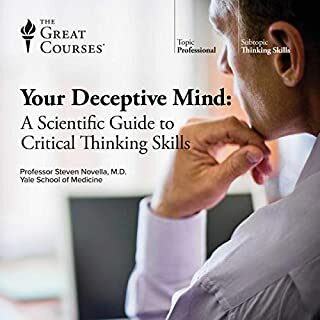 Download this audiobook and improve your life!